After conducting a review of their insurances Geoff Hunt, Deputy General Counsel for Volkswagen Group United Kingdom Limited. believed that more could be done to reduce the premiums they were paying. Realising Volkswagen Group significant and complex insurance needs would require expert external advice; he sought the specialist service of Expense Reduction Analysts Insurance Cost Management (ERAICM). 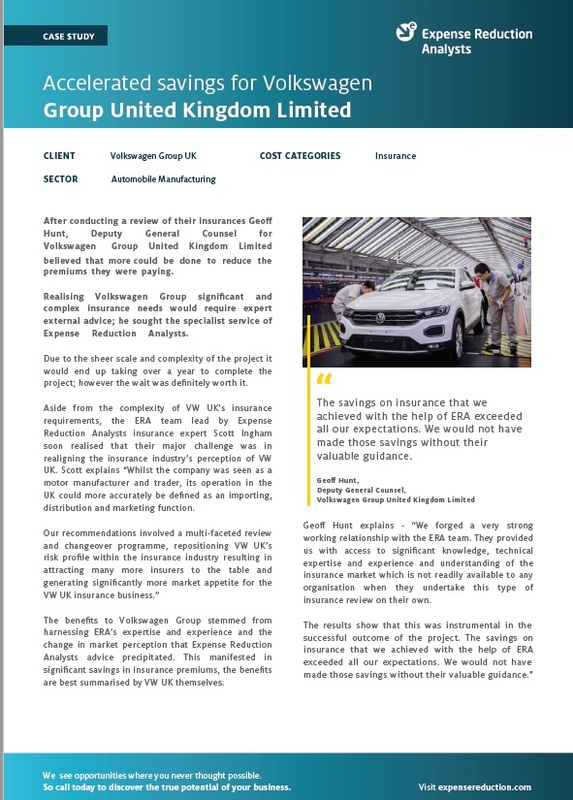 To find out more about how ERA helped Volkswagen, including results, savings and more details from the client, download the full case study now.